This page contains Fing'rs Press-on Nails reviews. 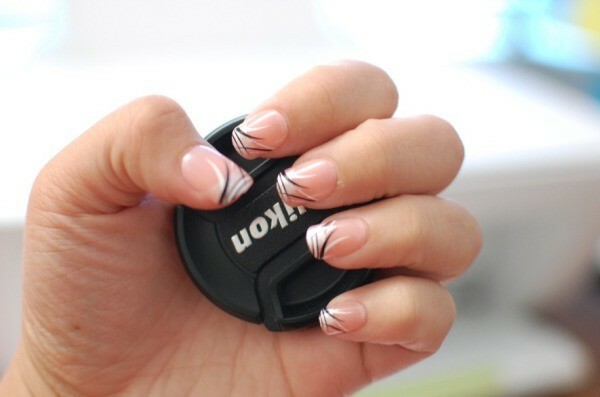 Press-on nails are a quick and easy solution for having pretty nails. Plus they are less expensive and easier to maintain than other types of fake nails. Do you want pretty nails for a date night or for a special occasion? These Fing'rs Prints Simply Chic Press-On Nails works great for events like that. Plus, you do not have to spend a fortune to have pretty nails, no need to waste time driving to, from the salon and waiting plus you will avoid all the harmful chemical smells! 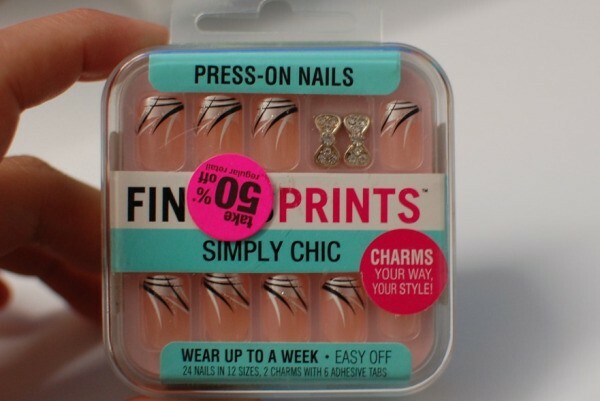 Averaging about $5 these press on nails can be found at your local drug store. I purchased mine for even cheaper since it was 50% off. I stocked up on a bunch because my previous employer long nails was not suitable to perform the work I did so I only had these nails on during the weekends, for special occasions or my vacation days off. There are so many different styles available and in each kit you will receive 24 press on nails (in different sizes) along with 2 charms, and 6 adhesive tabs. Once you open the kit up, all you need to do is match the press on nail sizes to your nail. Whichever nail looks to match, peel the adhesive backing off and secure the press on nails to your nails for a few seconds. The charms are optional to put on as accent and if you want to use that, you can use the adhesive tab provided but I usually don't. Whenever you go somewhere just toss the kit into your purse just encase you lose a nail or need extra adhesive. I never have any problems but with regular wear this kit usually lasts me 3-4 days. The product claims to last a week, which it can but you'll need to switch out some nails or add more adhesive to some. Overall: For the beautiful look of these nails, and fast manicure in less than 5-10 minutes literally, plus the price you cannot go wrong! I'd highly recommend this press on nail kit!